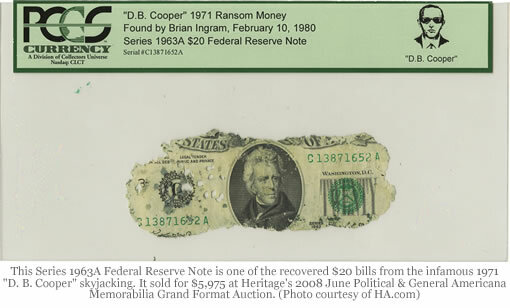 Fifteen $20 Federal Reserve Notes from the infamous 1971 "D. B. Cooper" skyjacking were sold for more than $37,000 at Heritage Auction Galleries‘ Americana Memorabilia Grand Format Auction June 13, 2008. The notes were owned by Brian Ingram, 36, of Mena, Arkansas who was eight years old in 1980 when he found the only ransom money ever discovered from the still-unsolved skyjacking. Cooper hijacked a Northwest Orient Airlines 727 flight from Portland to Seattle in 1971. During the flight to Seattle, Cooper said he had a bomb and demanded $200,000 and parachutes. 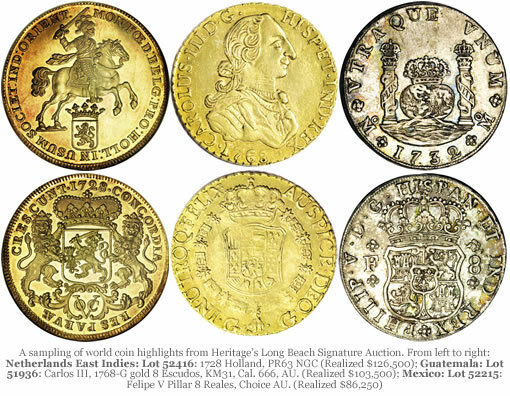 Part of $26.5 Million Long Beach Signature Auctions with total prices for ancient and world coins realizing $7.5 million and the American coins exceeding $19 million. Dallas, TX. 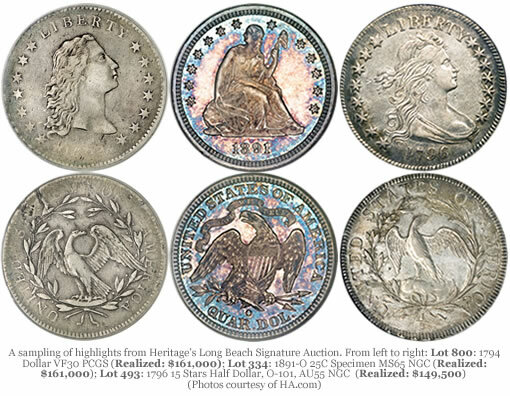 Heritage Auction Galleries’ Long Beach Signature® Auction of Ancients and World Coins has brought in nearly $7.5 million in prices realized. 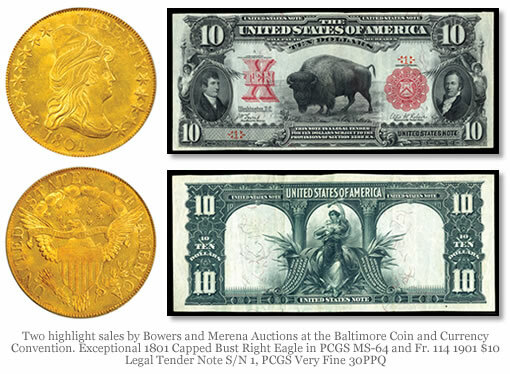 The concurrent Signature® Auction of U.S. coins realized $19 million. The totals will rise further when post auction buys are finalized. Dallas, TX. 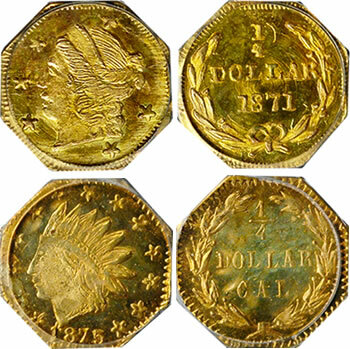 Top prices realized of $161,000 were reached by two very different coins in Heritage Auction Galleries’ May 28-30, 2008 Signature® in Long Beach: a 1794 Dollar VF30 PCGS (Lot 800) and an 1891-O 25C Specimen MS65 NGC (Lot 334). Total prices realized for the American coins exceeded $19 million and ancient and world coins realized an additional $7.5 million; both totals will rise further when post auction buys are finalized. “The strong market is continuing to bring great rarities onto the Heritage auction block,” commented Heritage President Greg Rohan. “One of the pair of 1794 silver dollars realized $161,000, matched by an 1891-O quarter, certified Specimen 65 by NGC.